"Front desk personnel need to be more refined . Should be trained to be less pressing attitude for formalities. Chef Pranshu Amit Socius were particularly good." "Frienly staff. Suited our buget and clean. Complimentry breakfast on roof top"
"If you are on a budget and like to shop this is the place to stay. In the heart of the main bazaar." "Worth your payment if a short stay. Clean rooms and dust free. Kitchen crew is good. Strange kind of breakfast but you can get what you want. Just be polite to ask." 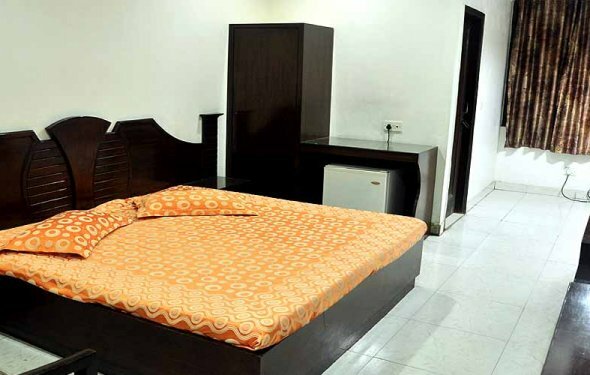 "The hotel is well located and extremely well managed. It's not a luxury hotel but staff do everything they can to help." "Two nights in the busy shopping district. Hotel close to shops and transport links. Would recommend to anyone." "I arrived at 3am and they very waiting for me. Kind staff and helpful staff"
"Excellent value for money. Comfortable and fairly spacious. very clean hotel.Metro just out the front. Staff were friendly and helpful and general feel and experience was nice.Room was a nice size, cool and well equipped '. Lovely shower and sofa to sit on to watch TV." "Nice time in India. The hotel had a decent breakfast. The staff were very warm and caring. I would stay there again." "The hotel was nice and clean, the only issue was with the wifi which had not good signal strength, rest the stay was pretty good."